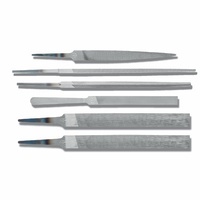 Choose from a variety of different cut types and sizes to suit your application. 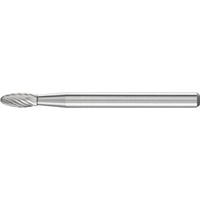 PFERD tungsten carbide burrs are designed for machining materials of virtually any strength. Manufatured in compliance with the highest quality standards. 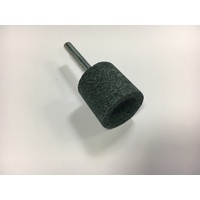 General recommendations for use: Optimum power output and rotational speed of the drive system (air powered or electric grinders, flexible shaft system) are necessary conditions for a cost effective use of tungsten carbide burrs. - Use the highest rotational speed possible within the recommended rotational speed and cutting speed range. 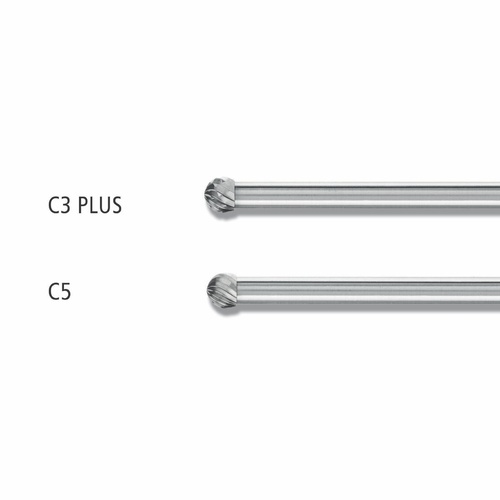 - In exceptional cases, it is possible to work at less than 3,000 RPM. 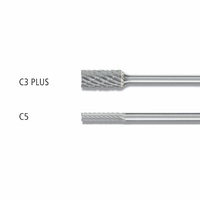 This is preferable for stationary use or when countersinking with 360¡ use of the burr surface. 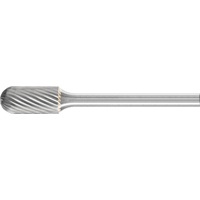 - For low stock removal (deburring, chamfering, surface finishing), the rotational speed can be substantially increased up to 100% (exception: tungsten carbide burrs with long shanks). 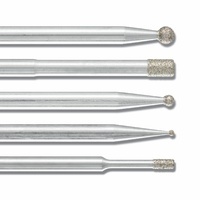 - For materials which do not conduct heat well, such as stainless steel (INOX), titanium alloys, etc., in particular, follow the rotational speed recommendations in order not to damage the tool. Avoid making the shank and tool turn blue. 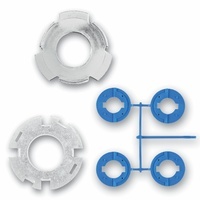 - Use only rigid clamping systems and drives, as impacts on and chattering of the tools lead to premature wear. - Do not chose a burr clamping depth that is too small. 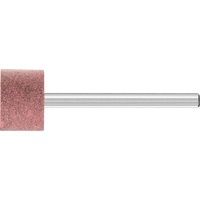 In general, the minimum clamping depth is 2/3 of the shank length. 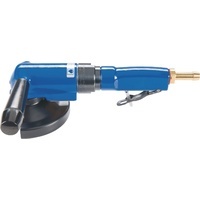 - For cost effective use of burrs with a shank diameter > 6 mm, a tool drive output of 300Ð500 watts is required when used at higher rotational speed and cutting speed. When using burrs with coarse cuts (e.g. 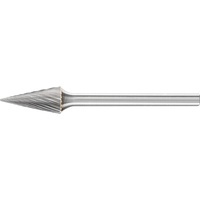 ALU cut), even higher tool drive outputs above 500 watts are advantageous. 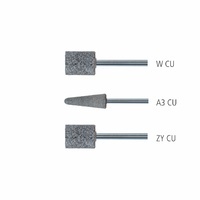 -The burr surface in contact with the workpiece must not exceed 30 % of the total burr surface. Failure to comply with this recommendation will result in rough milling behaviour and possibly in broken teeth. If this cannot be avoided, we recommend using the TOUGH and TOUGH cuts. - Burrs with a HICOAT¨ coating are particularly well suited to work with heavily lubricating materials. Alternatively, the use of a lubricant, such as cutting oil, grease, kerosene or similar, is recommended to prevent the cut from clogging up. 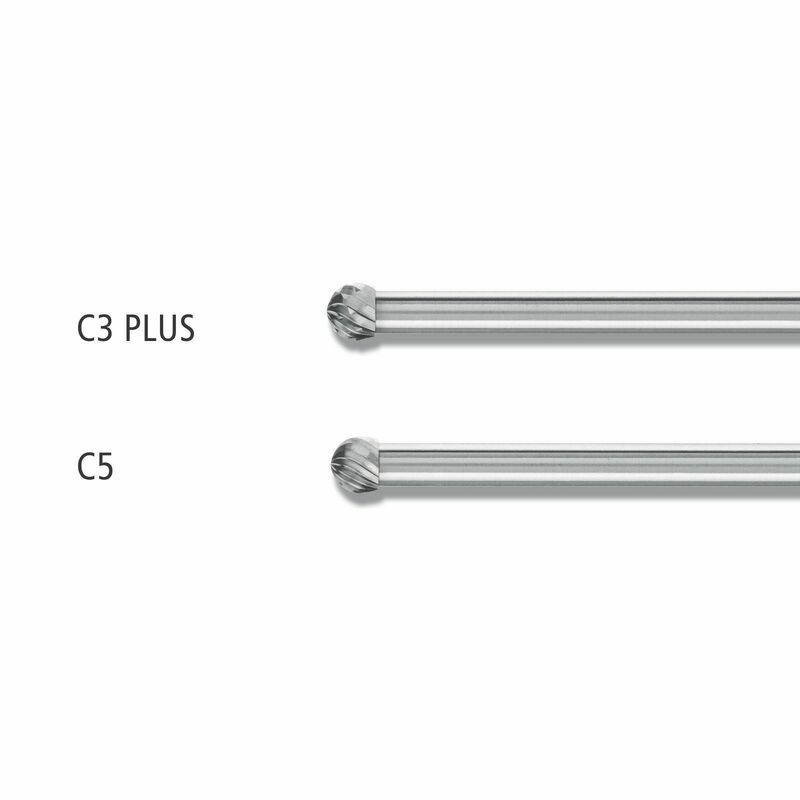 - In general, burrs are used counter rotationally or with a swinging motion. 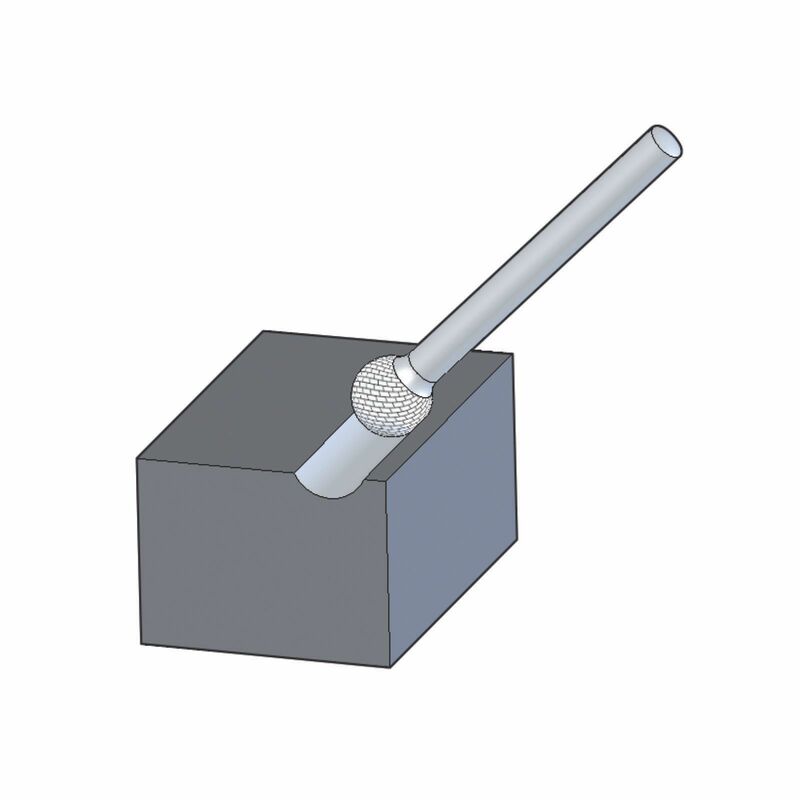 Pass the tool rapidly over the workpiece in the direction of rotation to achieve fine finishes. 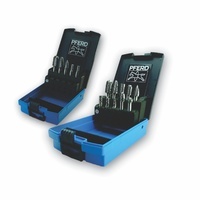 PFERD burrs offer outstanding quality, long tool life and excellent stock removal performance allow economical work with diverse materials, delivering excellent results. 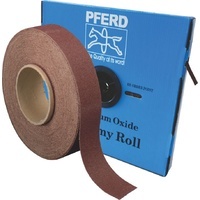 PFERD quality is certified according to ISO 9001.